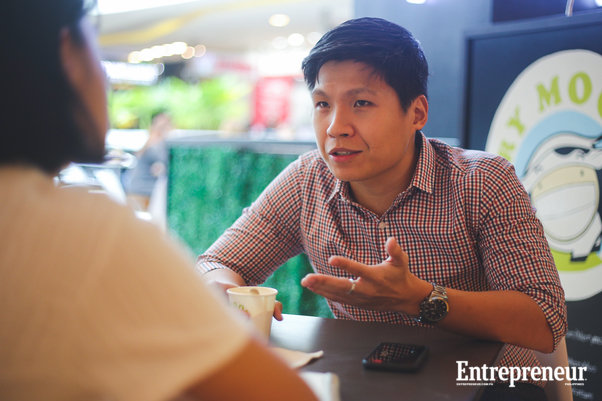 Do you know what an aching tooth, an unanswered text message and an enticing business idea all have an in common? You can’t sleep on it. You may do all the twists and the turns, still, that light bulb in your head will never shut down until you find a resolution, and usually, for good reason. 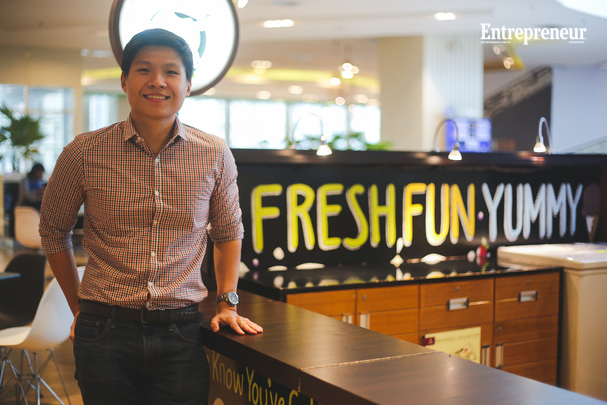 Kelvin Ngo had the latter, when, after multiple flights to Singapore found himself enamored by the sweetness and novelty of artisan ice cream. Then 26-year-old Ngo was an operations manager in his family’s retail business. 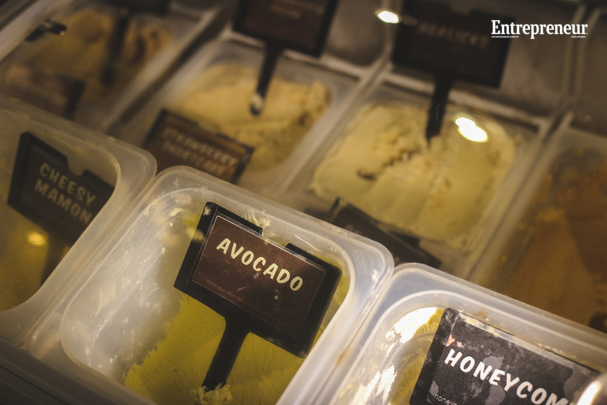 He wasn’t really looking to set up something of his own, but call it quarter-life crisis — Ngo just couldn’t let go of the idea of having his own ice cream place in Manila with his own unique flavors. “The more I kept thinking about it, the more it kept nagging me – why not? There was no big hurdle stopping me, and when you place all these factors on the list: I like cooking, I like ice cream and it looks like a viable industry. They all tick off,” Ngo said. And so he bought an ice cream maker, read some cookbooks and started experimenting on ice cream. That phase lasted for two years until he joined Ultimate Taste Test organized by food blogger Anton Diaz in 2010. As its name suggests, the event brings together food lovers and aspiring entrepreneurs as they present their creations for market test. The aspiring ‘ice-creamist’ showcased four unique flavors: Sea Salt Caramel, Honey Pili, Earl Grey and Coffee Kahlua. While showcasing his creations to the general public was exciting, he didn’t leave unscathed with brutal comments. This was at the time of the frozen yogurt boom, with not much artisanal ice cream parlors mushrooming around the metro. Merry Moo fared at 13th place out of 25 participants, not bad for Ngo who was only dabbling at the idea. The stint was enough for him to pursue the sweet dream further. The next time he showcased his flavors to the public, it was in a real food bazaar, Mercato Centrale. Just in time for the holiday season, Ngo dedicated all of his weekends in the late 2010 making his own recipes, setting up his booth and scooping ice cream all by himself. Somehow, he felt his long-distance relationship with his wife then was a blessing in disguise. Ngo sourced his ingredients from a Laguna-based farm for his milk and chose high-quality suppliers for specific flavors, like the famous Malagos chocolate from Davao. 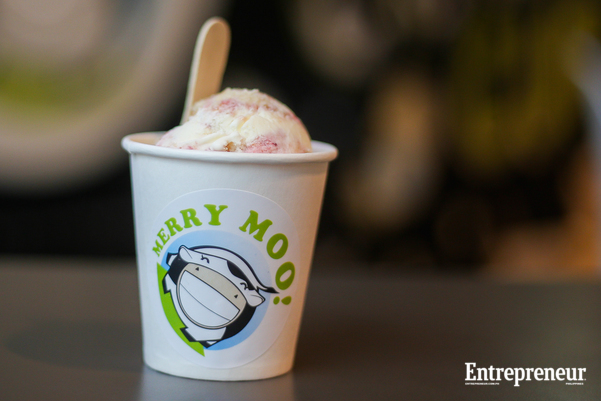 This dedication to quality and enthusiasm for adventurous flavors (he had Beetroot Rose and Lemongrass flavors once) earned Merry Moo a following that in a year, the brand also started to set up store in Salcedo Saturday Market and Legazpi Sunday Market in Makati City. In two years, Ngo reaped the harvests of that investment. 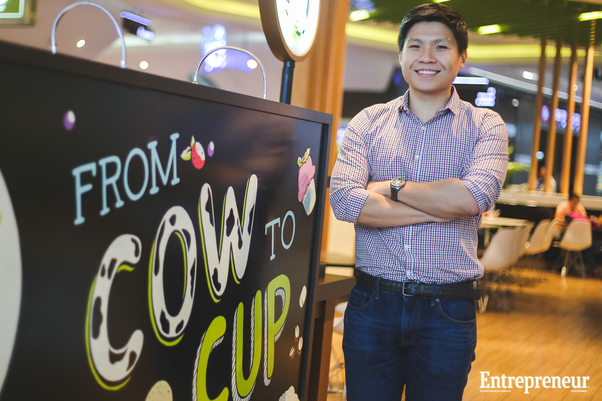 The first Merry Moo kiosk opened in SM Mall of Asia with great reception for the first few months. However, a mall renovation drastically dropped the foot traffic in his area, and he had to move to another location. 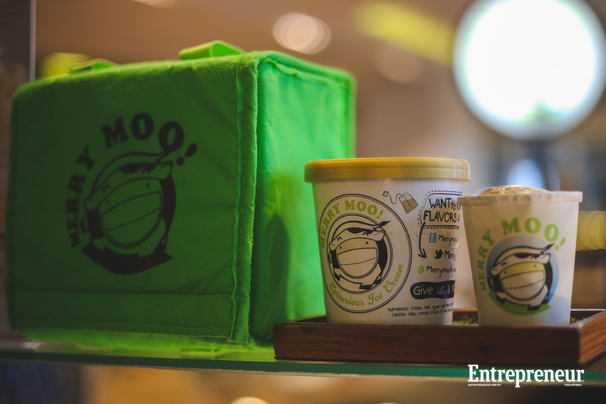 Today, Merry Moo has two kiosks located in SM Megamall and SM Aura. It has also started to distribute its pints to local groceries, now totaling to 27 across Metro Manila. If the bazaars taught Ngo anything, it’s that operations is as important as keeping products at its best. 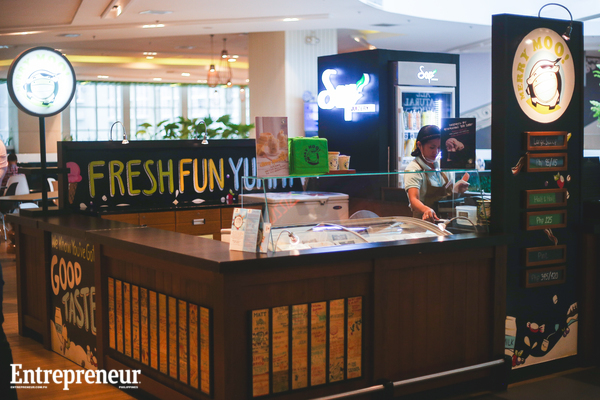 Crafting the ice cream is one thing, but keeping track of how his employees ensure quality is another. But even with all these successes, Ngo admits he still has moments of doubt. “There’s always a reason to quit. I am always doubting myself until now. It’s more of doubting on how long I can keep this up,” Ngo shared. But growing up with entrepreneurial parents who had to work their way up for their young family, somehow gives Ngo the push he needs when he has his own struggles to face.